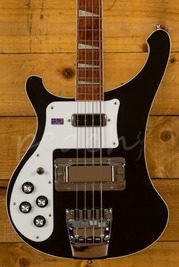 Rickenbacker Guitars are a well-established and well known guitar manufacturer, creating iconic body shapes such as the 'Capri', and a selection of oddities in the 50's and 60's including the 'Bantar' and Eddie Peabody's 'Banjoline'. 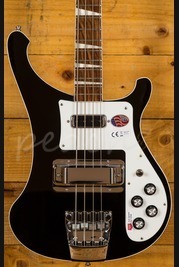 Today, Rickenbacker guitars are one of the premier guitar brands, with a wide range of quality electric guitars handmade to the highest quality, with all parts bar the keywinds being produced in Rickenbacker's own factory. Order your Rickenbacker online today, if you'd prefer to try before you buy then head on down to our store based in Colchester and we will be happy to assist. Our team of experienced guitar enthusiasts are always on hand online and in store to answer any technical questions and to help you find the right product. Don't forget, if you order online and spend over £100 you'll enjoy free Next Day Delivery on orders placed before 3pm.